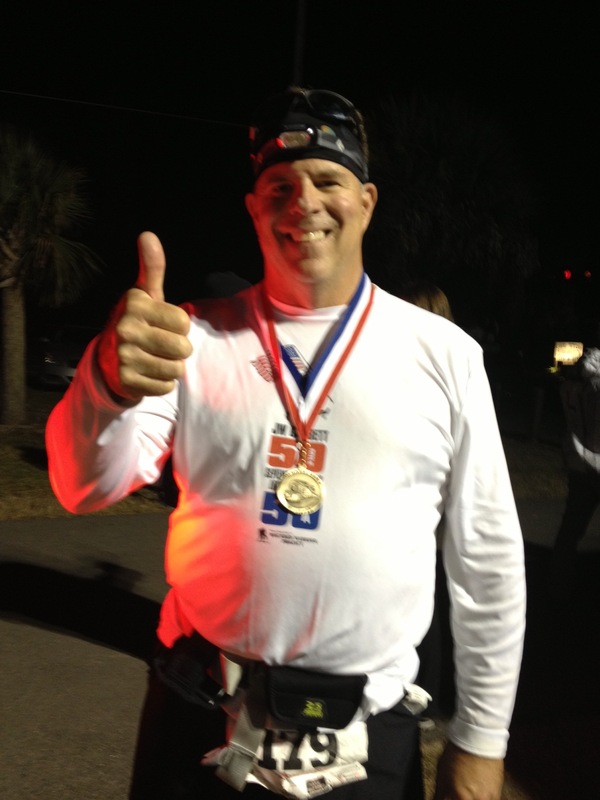 Well, I completed the 50 mile event Saturday! Great experience and wild success! It took me 13 hours and 20 minutes, which I was greatly pleased with. I was able to enjoy most of the run. Surprisingly, the most difficult portion was from about miles 13-21. It’s been my experience in doing these longer events that there is a “barrier” that one has to push through. I haven’t quite been able to define what it is but it seems to have something to do with giving up the illusion of having control of the outcome of the event. At some point, a mental and emotional surrender takes place and what appears to be obvious is finally accepted — that I am going to be out there for a long, long time. However, that doesn’t necessarily mean that pain and discomfort is going to increase. There will be times of feeling better and worse, but overall, once that barrier is pushed through, the majority of the event turns out to be an extremely pleasant experience. I’m actually thinking about upping the ante and attempting a 100 miler later this year! I’ll keep you posted. Before every event that requires alot of planning and preparation, it’s worth remembering that there are multiple possibilities for successful outcome. During the planning, preparation, and the event itself, it’s worth thinking through what these outcomes may be in order to stay encouraged and motivated. A big life lesson that I’ve learned through my brief career in ultra running is not to view success/failure as an either/or. Most of our “big projects” in life — starting and running a business, following a career path, raising children, pursuing interests — are done with multiple intentions and purposes. Yet, we tend to evaluate the “bottom line” if we are evaluating success or failure. I think back to some of the reasons that I began to prepare for the 50 miler that I mentioned yesterday. Some of them have been: improvement in my health (I was quite overweight and had sky high blood pressure — now I’m only moderately overweight! ), fitness, increased sense of well-being, enjoying the outdoors, having time to think, releasing endorphins, meeting interesting people, and accepting a challenge. Most of these benefits have been fulfilled through the process of accepting this challenge and preparing for it. I read somewhere that it’s important to distinguish between the process and the product, and to find joy in the process of what we are doing. Too often, people live only for the product. If we consider that life is probably 99 percent process and 1 percent product, it makes sense to find as much joy as possible in the 99 percent rather than living for the 1 percent. Get To Starting Line Healthy: I signed up. paid my money, did some preparation, didn’t get lost on the way to the event, and didn’t wimp out! Manage to run between 1-32 miles: Nice supported run (snacks make everything better!). Great day out in the woods doing something I enjoy. Seeing a place I have never been. Meeting new people and encouraging them. 32 miles plus: All of the above, plus running farther than I ever have before! 50 miles in 12-14 hours: Wild success! Completed 50 miles and survived: Everything I set out to do! I’m signed up for an event this Saturday called the Iron Horse 50 Mile Endurance Run. Why I’m doing this is a subject for another post. If all goes well, I’ll be moving slowly through the piney woods of Northeast Florida for about 12-15 hours Saturday. However, my thinking in terms of this post is, “if you had to boil your life down to survive for one day, what would you take? What would you leave? 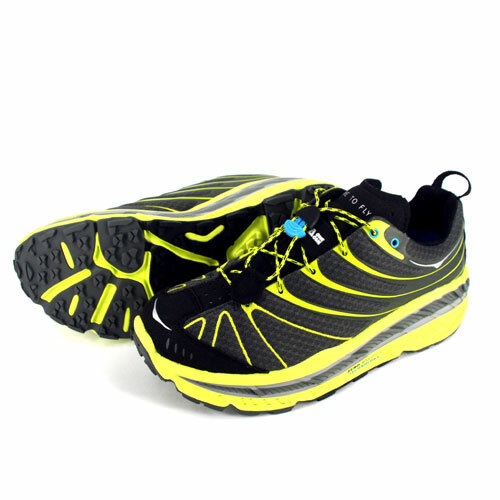 Hoka One One Stinson Evo 12.5 (yes, they look like clown shoes but they feel really great! We have not seen or heard any signs of the invaders of Half Baked Manor in the last 48 hours. Our soffits are being repaired today as well as the drywall on the ceiling in the garage. No more openings for home invaders to get in or out! Victory is hereby declared! The only sad thing about this is that our guests gave me some good writing material!